How to grow your own patch of freshness in the southwest. In this fun gardening class, attendees will learn all the workings involved with starting your own vegetable garden. Basil isn’t the only edible thing that grows great in the heat of the southwest. 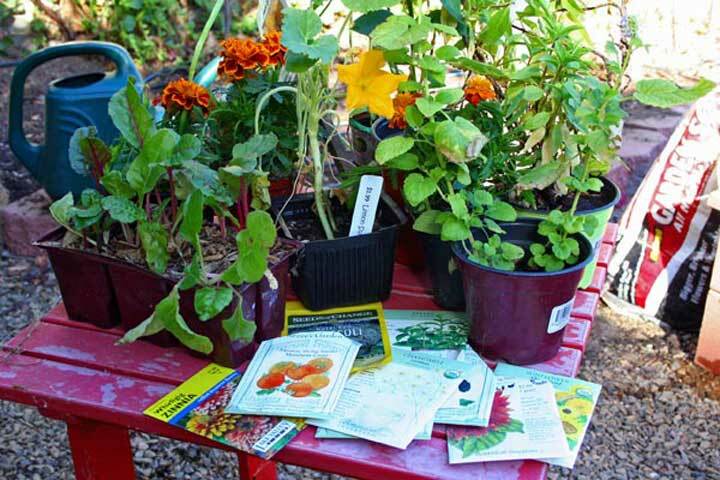 Garden Coach Vynnie McDaniels will share his well-honed skills demonstrating plant selection, supplies to buy, simple watering solutions, soil prep and much more. Why waste a weekend or two hunting and searching for answers to you questions of figuring out all the what-where-how? This step-by-step class will show you how to set-up your garden and get those veggies growing right away for a great gardening season of success. Vynnie will also feature a beavy of tips from his new ebook “Starting Your Own Veggie Garden“.